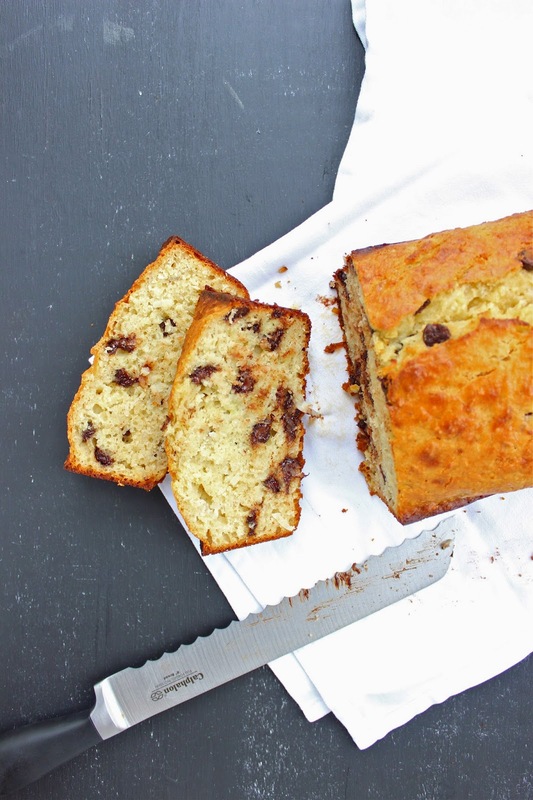 Quick breads are probably one of the easiest and most satisfying things to make in the fall. There's not much effort required. Mix together the dry ingredients and wet ingredients and then combine. 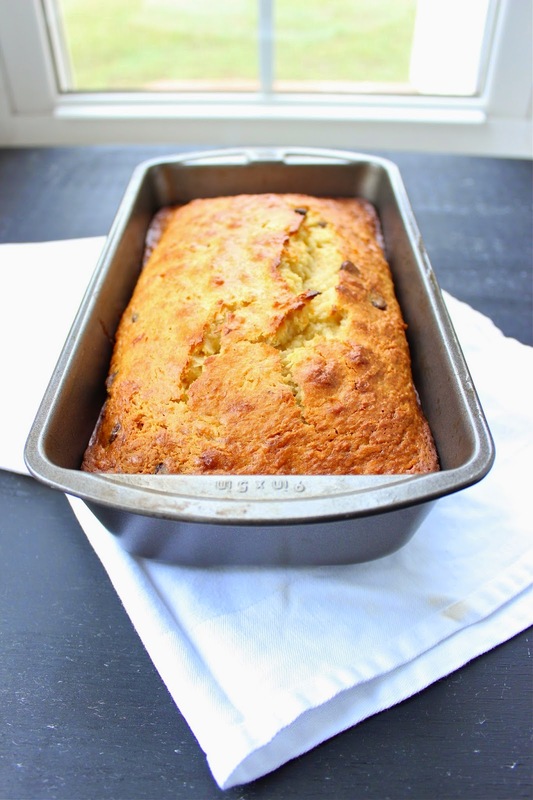 Pour into a loaf pan and less than an hour later you've got a loaf of sweet, dense, satisfying bread that's perfect for breakfast with tea and coffee, nibbling as an afternoon snack, or savoring as dessert. The inspiration for this particular bread came from these chocolate coconut cookies. I hate to admit it but I'm still obsessed with those cookies Obsessed as in I can't stop thinking about the yumminess of the coconut + chocolate + almond meal combination. Just like those cookies, there's no butter or oil in this bread, and it's sweetened with mashed banana and honey instead of sugar. 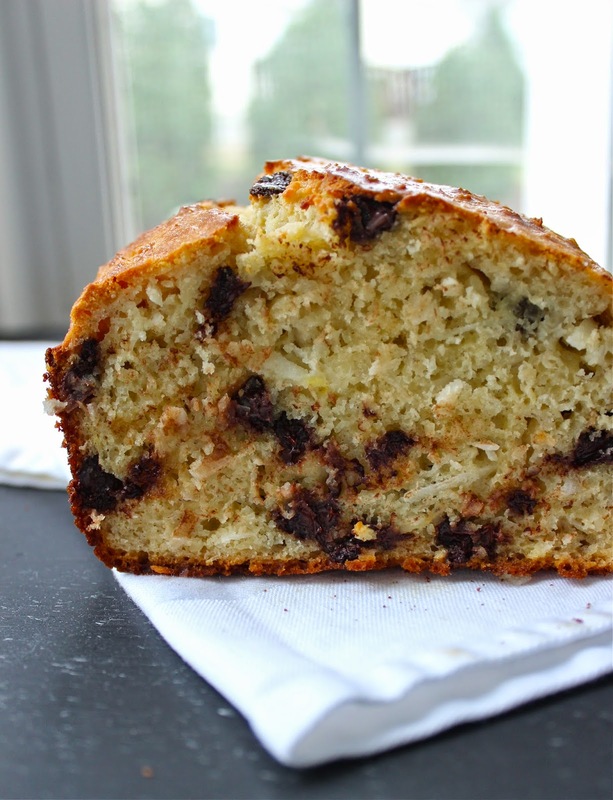 It's also made with coconut milk, eggs, shredded sweetened coconut, and chocolate chips. And that's pretty much the recipe. In busy seasons of life when so much seems beyond my reach and control--research papers, reading, laundry, summer jobs--it's comforting to know that I can throw a few ingredients together to make something good and greater than the sum of its parts. heaping 1/2 cup chocolate chips. *To toast coconut, place coconut in a large saucepan and place over medium high-heat. Stir the coconut around the hot pan for 1-2 minutes until about 1/4 of the coconut shreds are browned and the whole pan is fragrant with the yummy toasty-coconutty smell. Preheat oven to 350. Line a 9 inch loaf pan with parchment paper or spray with non-stick cooking spray. In a large bowl, combine the coconut, almond meal, all-purpose flour, and salt. In a medium bowl, combine honey, mashed banana, coconut milk, eggs, and vanilla extract. Add wet ingredients to dry ingredients. Stir to combine. Fold in chocolate chips. Pour batter into prepared loaf pan. Bake at 350 for 45-55 minutes. This bread is almost entirely naturally sweetened. To use even less sugar, use unsweetened coconut. (I've heard you can buy it at Whole Foods?) and cacao nibs or fruit instead of the chocolate chips. I love baking in the fall, too! I've been on quite a baking kick lately and you are correct about the quickbread - one of my favorite things to make. 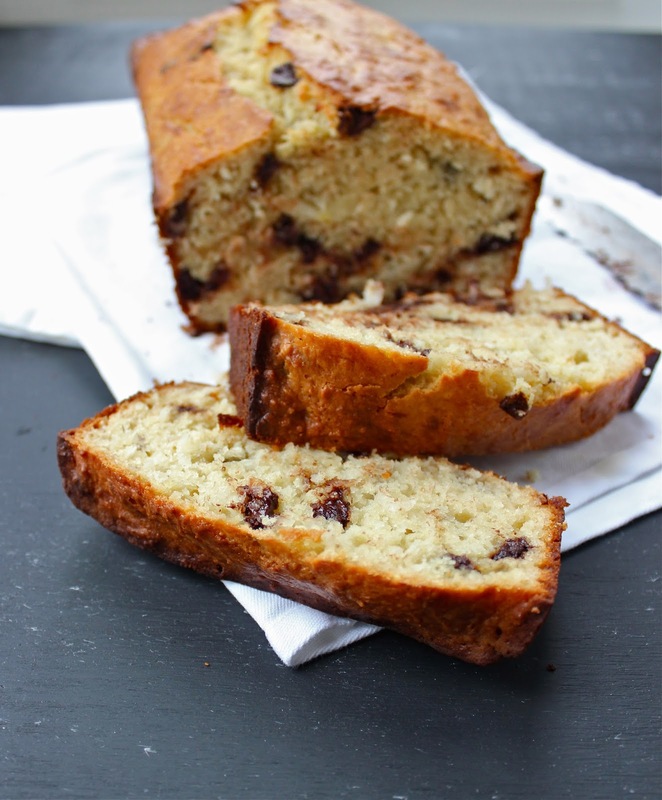 Your bread looks delicious -light and fluffy! It's just now cooling off here in Phoenix and I've got my baking mitts on and ready to go! First up, this bread! Chocolate, coconut and banana!!!!!! Yes.Yes.Yes! 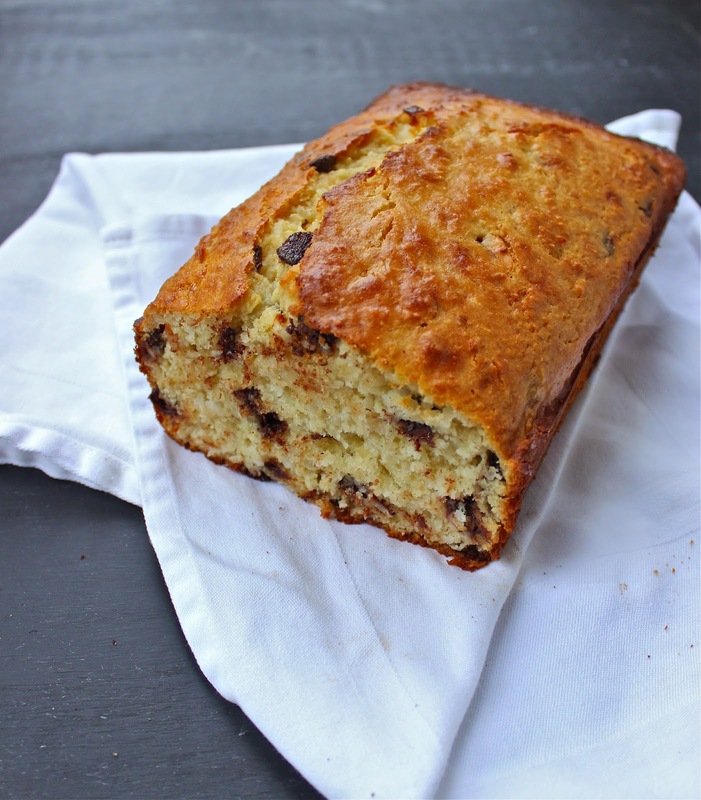 A quickbread I can eat in the morning without any guilt?! That's what I like to hear. THis sounds awesome! Looks delicious! Chocolate and coconut- perfect combination! Thank you so much for sharing this wonderful recipe.